We asked on episode 117 of the Android Central Podcast about when we would see a docking station for the Nexus 7. An astute listener who is also one of those "people close to the matter" decided to toss us a bone and directed us to the Japanese ASUS site which has what appears to be a landscape audio dock for the 7-inch wonder coming at the beginning of December. There's not a lot of info, but it says we can use the USB port, and it has a 3.5mm audio output -- which can only mean it's using the pogo pins for power and audio transmission. It will sell for 3,480 Japanese Yen (about $41 USD) sometime in early December. A quick look at my calendar tells me it's almost early December now, so I'm sharpening my credit card. You can bet we'll be trying to get at least one of these when they are available. Hit the link below to see for yourself, and follow the break for the translated version of the website entry. 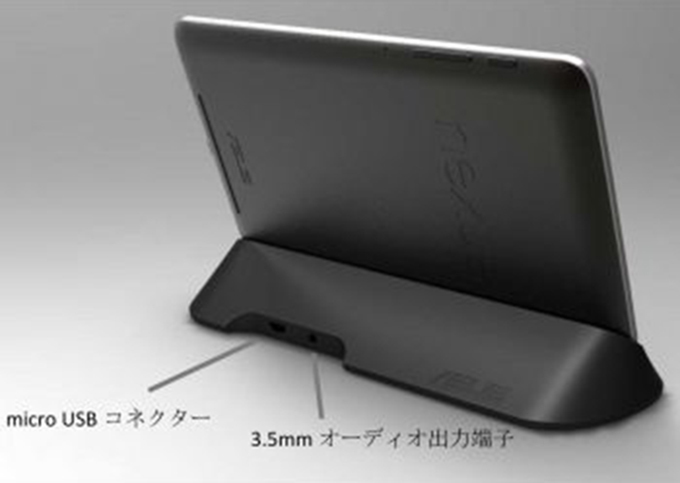 Source: ASUS Japan; Thanks, Anon!